Happy Monday! Hope you all had a relaxing weekend enjoying the things and people you love most. I know mine was a wonderful mix of everything I love which includes the upcoming holidays. While out and about taking in the sights, I couldn't help but notice that the holiday buzz is beginning to fill the air. I for one couldn't be happier! The holiday season is most definitely my favorite time of year and with Thanksgiving coming soon I decided to put together some pre-holiday gifting ideas. 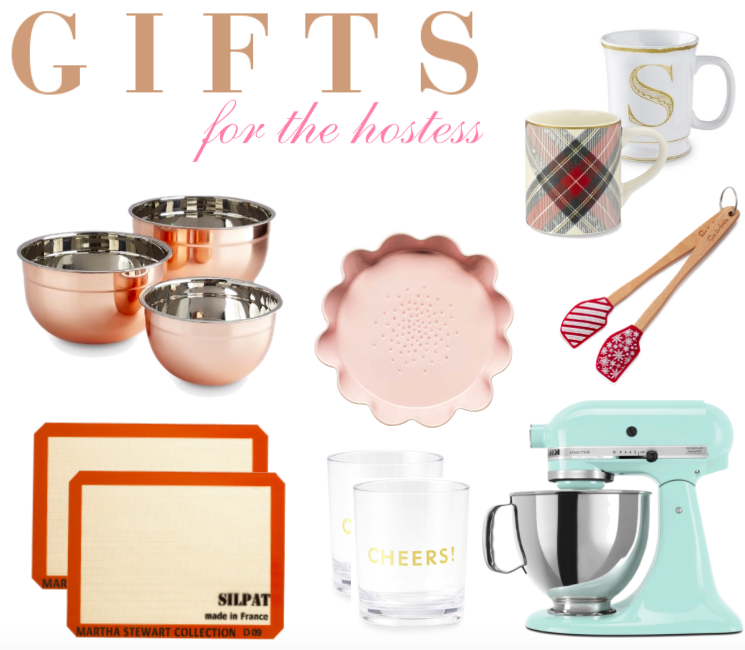 Every hostess is sure to love anything and everything on this list. From deliciously scented candles (like this one!) to adorable vintage-style aprons, you can't make a mistake. 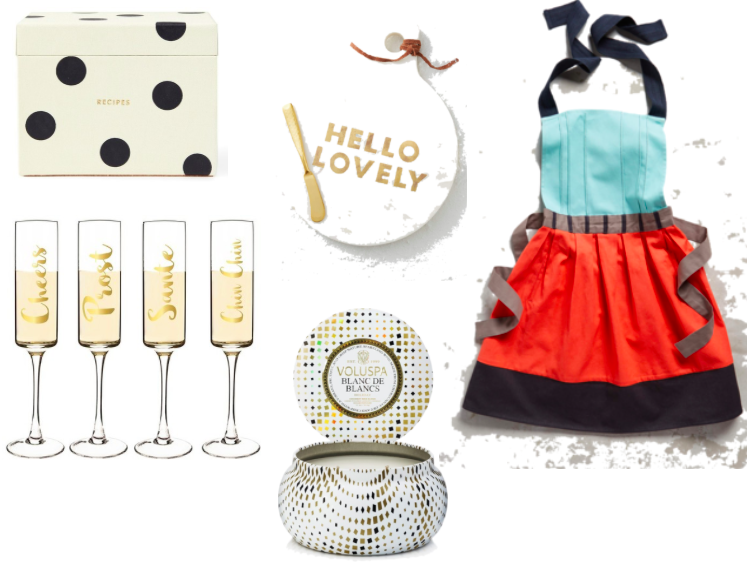 My personal favorites for nifty little gifts like these include Anthropologie and Kate Spade. For those large investment pieces it has to be Williams Sonoma, Sur la Table or the mega-size Bed, Bath and Beyond. Check them out as they're sure to have what you want. I just got this gorgeous mixer and could not be more excited. This bakerette has a lot of lovin' from the oven to give! You can shop all these goodies via the links below...enjoy!